Home » Could New Noise Masking Night Time Headphones Be The Answer To Troubled Sleep? It’s no surprise that in today’s fast paced world an increasing number of adults are struggling with problems with sleep. A shocking 60% of adults worldwide report difficulty with some aspect of sleep, be that getting to sleep, staying asleep or waking up. And while the reasons for poor sleep are complex and multitudinous, one factor that consistently comes into play is unwanted noise. Be it traffic outside or the snoring of a partner, intrusive sounds can wreak havoc with a good night’s rest. Around 25% of couples in the US report sleeping in separate bedrooms because of a snoring partner. Earplugs and noise cancelling technology have had limited success solving the issue. But headphone giant Bose have come up with an alternative, which they’re calling Noise Masking Sleepbuds. As of this writing, Bose’s Indiegogo campaign to crowdfund the innovative headphones has already raised 743% of its $50,000 goal, with the campaign ending in December 2017. They’re looking for motivated individuals with noise related sleep issues to test the product out, to help refine the product before it is brought to the worldwide market. If you’re interested, the testing process is starting in February 2018, and you can be a part of it. For $160, you’ll receive a prototype set of Sleepbuds, the charging case, interchangeable eartips, a wall charger and a travel pouch. The testing process is looking for adults living with a severe noise related sleep problem, and have up to 3000 prototypes available. The actual product is two very small, in-ear headphones, to be placed in the ear during sleep. Supposedly, they’re designed to feel almost unnoticeable for maximum comfort. 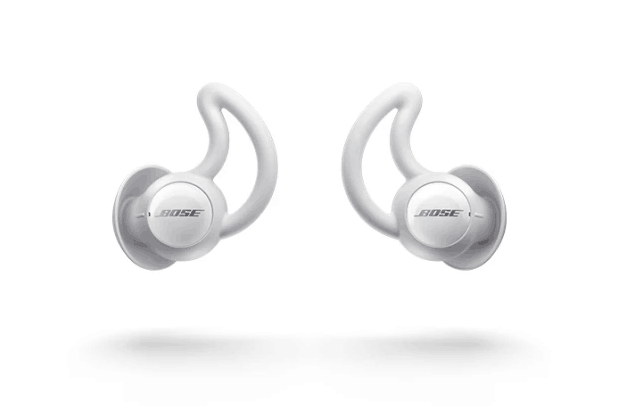 And rather than attempting to muffle or minimize noise disturbance, as noise cancelling earphones and earplugs before them, the Bose Sleepbuds aim replace the racket with soothing sounds. These are chosen with the specific aim of helping you fall asleep and, even more importantly, stay asleep. The Sleepbuds feature a tiny rechargeable battery, with one full charge being enough for two nights of noise masking, a gentle yet firm seal at the eartip to isolate sounds, and a built in flash memory of Bose engineered soothing noises. 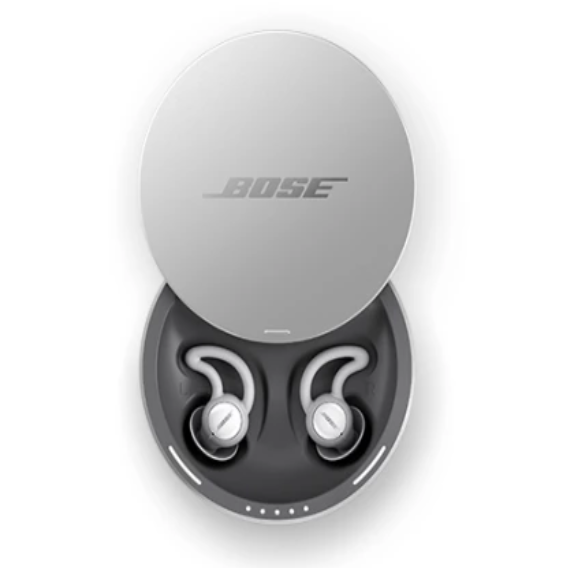 The combination of the sealing off of unwanted noise combined with the in-built relaxing sounds is what Bose claims will make their Sleepbuds so unique. Bose says they’re fully customizable, too. The come in eartip sizes small, medium, and large, and promise to stay in the ear regardless of tossing and turning. The Sleepbud experience can be further personalized by customizing the range of settings available on the corresponding Sleepbud app. You can select your soothing sound of choice, the volume you wish to play it at, how long you want it to play, and even set a wake-up alarm. The noises have been specially selected by Bose – some simply for their noise masking purpose, and others for relaxation. Six of these are sounds from nature, like ocean waves, rain or wind, and the other four are synthetic “familiar sounds,” like a dehumidifier or a red noise. The idea is that if the soothing sound is just louder than the disturbance, the inner ear and brain cannot distinguish the disturbing sound. Noise cancellation aims to create silence in the ear canal, while noise masking aims to create quiet in the mind. While most adults recognize the importance of a good diet and exercise regime when it comes to overall health, sleep is often overlooked. But it’s absolutely tantamount to physical and mental wellbeing. If you’re suffering from sleep issues because of noise disturbances, Bose’s Noise Masking Sleepbuds may be worth looking into.